Paris: Carlos Ghosn has resigned as chairman and CEO of Renault, the largest French carmaker, French Finance Minister Bruno Le Maire has confirmed. He is set to be replaced as chairman by Michelin chief Jean-Dominique Senard, and as CEO by Thierry Bollore, who’s been filling in on an interim basis. Government spokesman Benjamin Griveaux confirmed on local radio the duo will be presented to Renault’s board on Thursday, without specifying roles. Ghosn ruled an automotive empire that stretched around the globe, from Russia to the US to Japan, and included not only Renault but also its alliance with Nissan and Mitsubishi Motors Corp. The world’s largest automotive partnership sold 10.6 million vehicles in 2017, more than Volkswagen AG or Toyota Motor Corp.
Ghosn is widely credited with holding the unwieldy two-decade alliance together, even as other combinations - like DaimlerChrysler - came and went. His arrest jolted the partnership, raising questions over whether it can survive his demise. For his successors, bridging the corporate and cultural gaps between the companies and navigating the political crosscurrents in France and Japan will be among their biggest challenges. It’s a turnabout few would have predicted before November 19, when police swept aboard Ghosn’s private jet shortly after it touched down at Haneda airport. He’s been in custody ever since, accused of financial misdeeds at Nissan Motor Co. that include understating his income by tens of millions of dollars and transferring personal trading losses to the company. If convicted, he could face decades in jail. 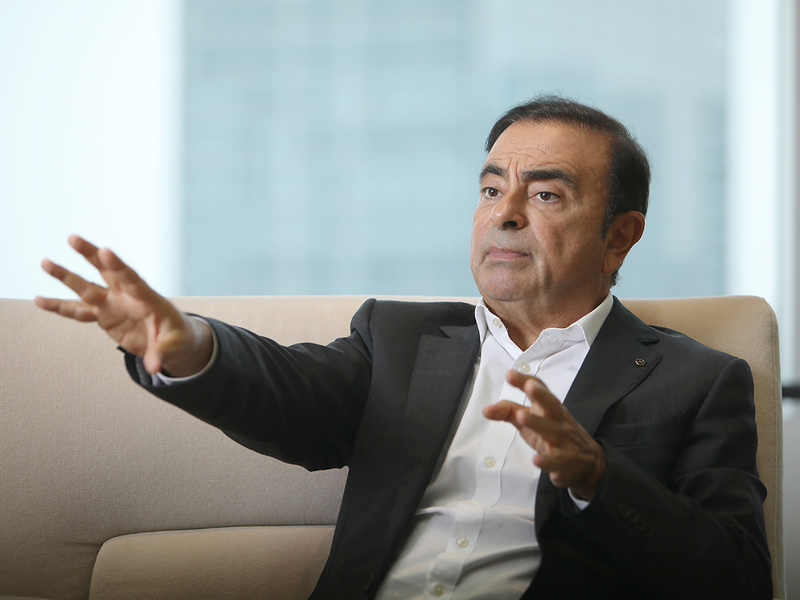 Ghosn has denied wrongdoing.